After the shocks of the offseason, the Blue and White fought till the end to get to the top eight, but in the end, they didn’t fulfill their goal. KHL.ru reviews the 2017/2018 season of HC Dynamo. Until this season, HC Dynamo Moscow since the very first KHL edition was one of the contenders. They won the Gagarin Cup twice, and in the latest three seasons they got to the second round (both times losing to SKA). 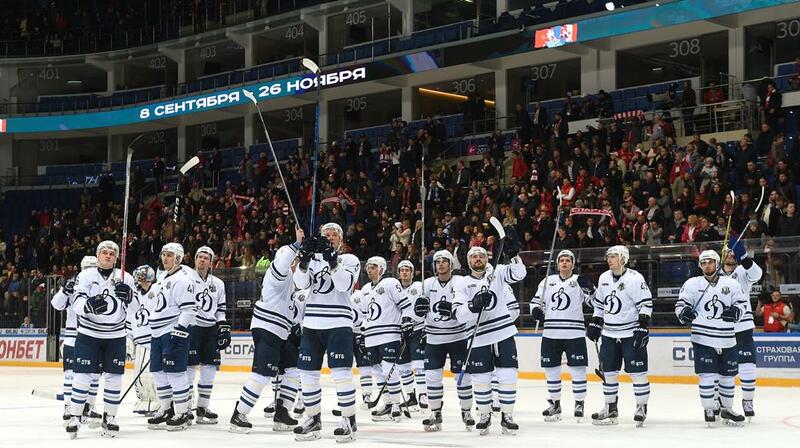 But in the tenth KHL season, the White and Blue’s streak was interrupted. The team led by Vladimir Vorobyov lacked only three points, a regulation win, to taste playoffs action again. But there is a reason for these results. Only one year ago, Dynamo, led by Sergei Oreshkin, was the third team of the Western Conference in the regular season. Then, he was replaced by Vladimir Vorobyov, but there were more big chances on the horizon. In the summer, the club experienced a change of ownership, and after the reorganization, almost all the players became free agents. Many players left the team and the hockey operations staff had to search for replacements, and not always they were up to the expectations. Some of the key players were retained, as Alexander Yeryomenko, Ilya Nikulin, Juuso Hietanen, Mikhail Varnakov was signed from Ak Bars, and Dustin Boyd was acquired from Barys Astana. Much of the hope was on these players. No one was expecting HC Dynamo to have a great start of the season, after such changes, but the team surprised all the skeptics. Six wins in seven games, five of them being consecutive, with huge wins over Jokerit and Torpedo. Later the team suffered a three-game losing streak, but then HC Dynamo had another good streak with five wins in six games. Logically, by the end of September, with such results, HC Dynamo was in the top-eight of the Western Conference. But starting from October, things started going worse. One thing talks for itself: until the end of the season, the Moscow team managed to win more than two games on a row just once, and it happened midway through November. Of course, injuries played big roles. Nikita Komarov played only 37 games, Mikhail Varnakov and Martins Karsums – 34 each. The five-time Russian Champion and three-time World Champion Alexei Tereshchenko missed most of September and January. Also the veteran goaltender Alexander Yeryomenko was rarely in top shape. For the whole season, local players led the team, including the two-time Gagarin Cup champion Ilya Nikulin. The veteran defenseman at the end of the regular season became the Blue and White top scorer and finished the tournament being plus-6. 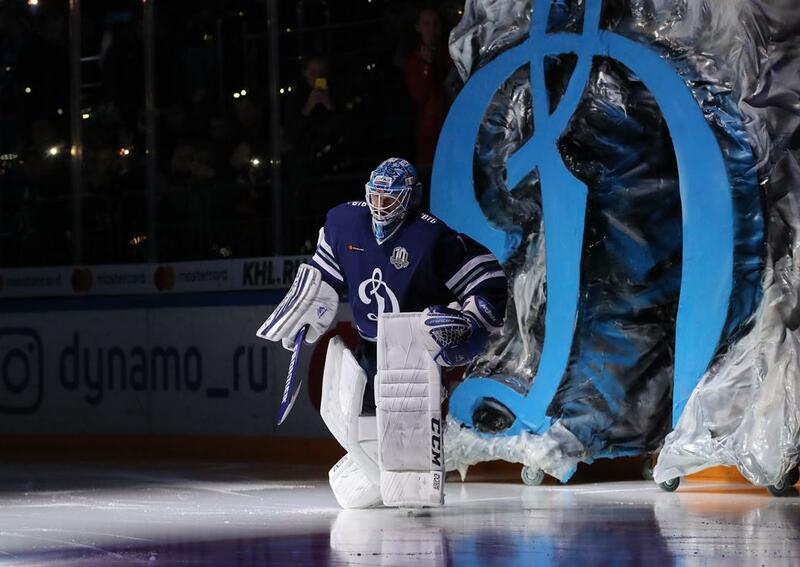 Nikulin had an icetime of more than 22 minutes a night, but his experience was even more valuable in the locker room. By the way, experience was another thing that the team lacked. Near the end of the regular season, HC Dynamo was in a position were every single point was of utmost importance, and any defeat could mean a tragedy for the team’s playoffs chances. HC Dynamo risked staying without getting to the postseason for the first time in the KHL history. And unfortunately for their fans, that is exactly what happened. The Moscow-based team lacked only three points. If they would have earned them, the additional indicators would have played in their favor, allowing HC Dynamo to get to the eighth place in the Western Conference standings. 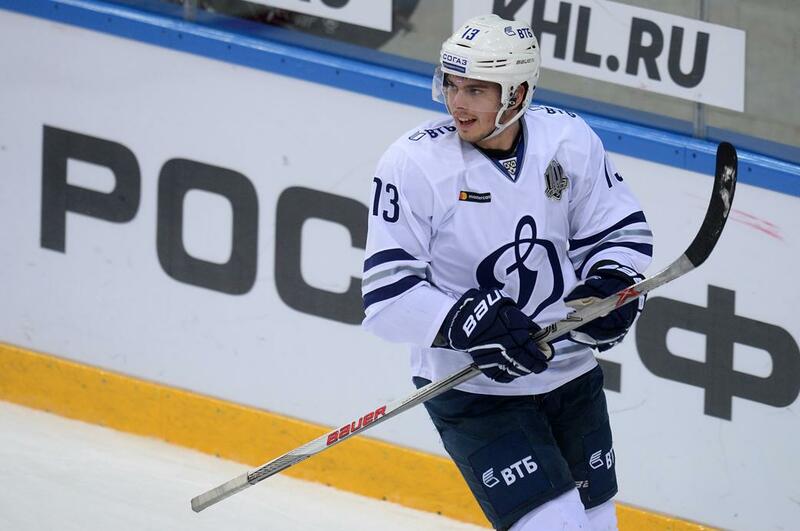 Vladimir Vorobyov is a product of the Cherepovets hockey academy. He retired as a player in 2011 and became a coach straight away. He was an assistant for Severstal, Donbass, Barys and in 2015 he accepted an offer from Dynamo Moscow. He was announced as HC Dynamo’s head coach in 2017 spring. The new board didn’t haste in changing coach, so Vorobyov had the whole preseason to prepare the team. 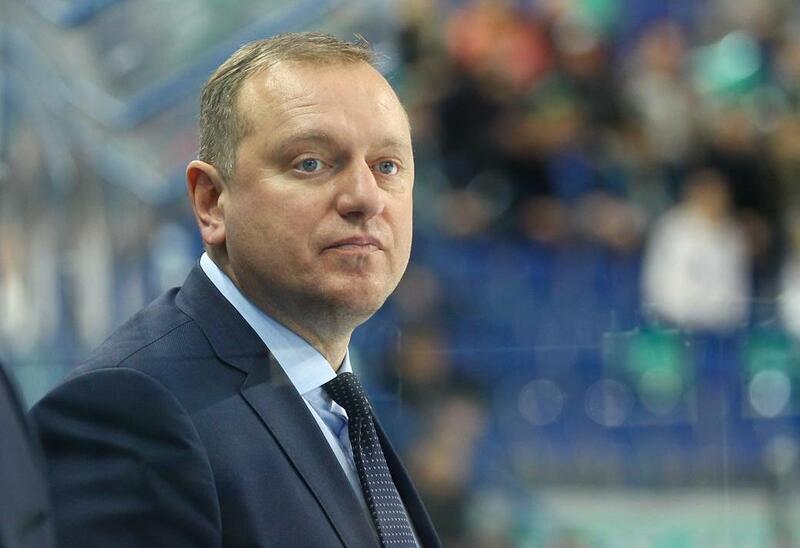 He will coach the team also in the next season: the team didn’t reach its goals, but the boards decided not to blame Vorobyov. Last year, HC Dynamo had several good games, but the best was the home clash against Sibir. Mikhail Anisin opened the score for the home team, but in the second period they allowed one goal after another, ending it with a 1:4 score. After the fourth goal scored by Sibir, Yeryomenko was benched in favor of his backup Ivan Bocharov. And here HC Dynamo started a huge comeback. Not only they managed to tie the game up: they won the game in regulation! The game’s hero was HC Dynamo’s local player Andrei Alexeyev. The young forward scored the decisive double, both times assisted by Alexei Sopin. 1:6 against CSKA on August’s end? 1:5 Fall defeat against Minsk? Or maybe the big home defeat against SKA or the away one against Magnitka? In the last four games, the calendar gifted HC Dynamo two games where a win would be enough to get to the playoffs. We’re talking about two games against division and city rival Spartak Moscow. In both games, HC Dynamo fought desperately, and both the clashes were very nervous. However, both times the team lost in regulation, which was exactly what they didn’t need. Two products of the HC Dynamo academy had a significant step forward this season, and both were among the top-four in scoring for the team. They are forwards Andrei Alexeyev and Daniil Tarasov. The 23-years-old Alexeyev scored 23 points in 54 games, with an average ice-time of 13 minutes a night. At his third season in White and Blue, Tarasov got a much bigger ice-time and was the top goal-scorer of the team, finding the net 14 times. Once again, Mikhail Anisin didn’t manage to revive his career. Once upon a time, Anisin has been the playoff’s top goal scorer, and won the Gagarin Cup with Dynamo, but it looks like those times are a thing of the past. In this season the forward, who lost a lot of hockey due to an injury, started playing only on November 30, when he scored a goal. However, he failed to score in the next ten games, even if his ice-time was north of fifteen minutes. After the game against Lada on January 5, Anisin failed to made the team again.